CoFH Core 1.12.2/1.11.2 is a mod that provides common functionality for the mods of Team CoFH. It must be installed in order for the mods to run. CoFH Core adds several optional tweaks to the game. When a mob with a custom name dies, a death message is shown in the chat as if it were a player. This is enabled by default. If color blind textures are enabled, features that rely on color use different textures for people with color blindness. A configuration option is provided to completely disable all particles, even those that still appear when the ‘Particles’ setting is set to ‘Minimal’. This option is provided to increase performance on starch-based platforms. The friend list is a feature that allows players to mark other players as their friends. This can be used by blocks or items that are secured with a signalum security lock.
. 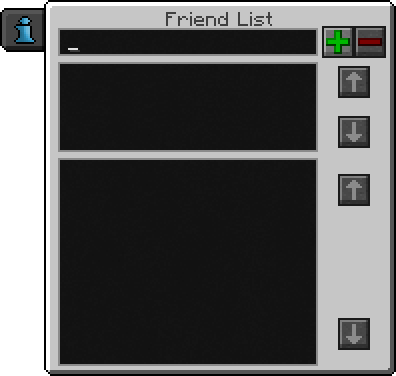 This GUI consists of a text box with buttons to add or remove a player, a list of online players and the friend list itself. Player names can be chosen from the lists, or typed manually in the text box. When a block or item that is secured with a signalum security lock is in ‘Restricted’ mode, the owner and anyone in their friend list can access it. Make sure you have already installed Minecraft Forge and Redstone Flux API.